Patent name Quick disassembling medical device Disinfecting package Patent applicant Wu Yong Principal applicant Address 400032 Shuangbei Gongnpo Slope, Shapingba District, Chongqing, China 35-4-1 Inventor Wu Yong Application (patent) No. 200420105352.5 Date of application 2004.11.25 Award date Approval Announcement No. 2757759 Auditing announcement date 2006.02.15 Instruction CD No. D0607-2 Main classification number A61B19/02 (2006.01) I Classification No. A61B19/02 (2006.01) I Division Original application No. Priority abstracts This utility model is a kind of fast Dismantle medical device disinfecting packaging bag, including packaging machine 'target=_blank> transparent film (3), bottom plate (5), disinfection identification mark (4), viscose sealing tongue (1), opening (8) and compound heat The edge seal (2) is characterized in that the composite heat seal strip (2a) protruding in the middle and connected with the arc transition of the composite heat seal edge (2) is used to seal, thereby eliminating the stress concentration of the prior art right angle seal, therefore It won't break during use, and it has high intensity of use, which is beneficial to the safe preservation of sterilized instruments. The composite heat sealing angle (6) can ensure the two layers of the end base plate (5) and the packing machine'target=_blank> transparent film (3) Smooth and solid, the end of the bottom plate (5) open in the middle De-bagging the semicircular slot (7) and the unique composite heat seal (2a) structures, can be quickly sterilized tearing open bags. At the edge (2) of the packaging machine'target=_blank>transparent membrane (3) is a folded bag with open ends at both ends. It is suitable for disinfecting packaging of large-scale medical devices, and can also be opened quickly and easily. Removed toxic medical devices. Sovereignty item 1. A quick-dismountable medical device disinfecting packaging bag includes a packaging machine 'target=_blank> transparent film (3), a bottom plate (5), a disinfection identification mark (4), a viscose sealing tongue (1), The opening (8) and the composite heat sealing edge (2) are characterized in that the opening (8) of the packaging bag is provided at one end, and a viscose sealing tongue (1) extending from the bottom plate (5) is provided at the end of the opening (8). , It can be rolled on the packaging machine 'target = _blank> transparent film (3) on the seal; at the other end of the two corners for the composite heat sealing angle (6), the bottom of the end of the head is opened with a bag split semi-groove (7) The bag end is provided with a composite heat seal strip (2a) seal, and the composite heat seal strip (2a) protrudes in the middle and is connected to the composite heat sealing edge (2) in a garden arc transition. Blank Can Holders is a diy gift for business. The material of can cooler is scuba neoprene , most often thickness is 1/8" ,but we can provide different size from 2-5 mm thickness . You can print logo on blank can coolies two sides ,fashion and unique business gifts or promotion brand . Do full CMYK printing or simple silkscreen printing of your company logo on beverage can covers . 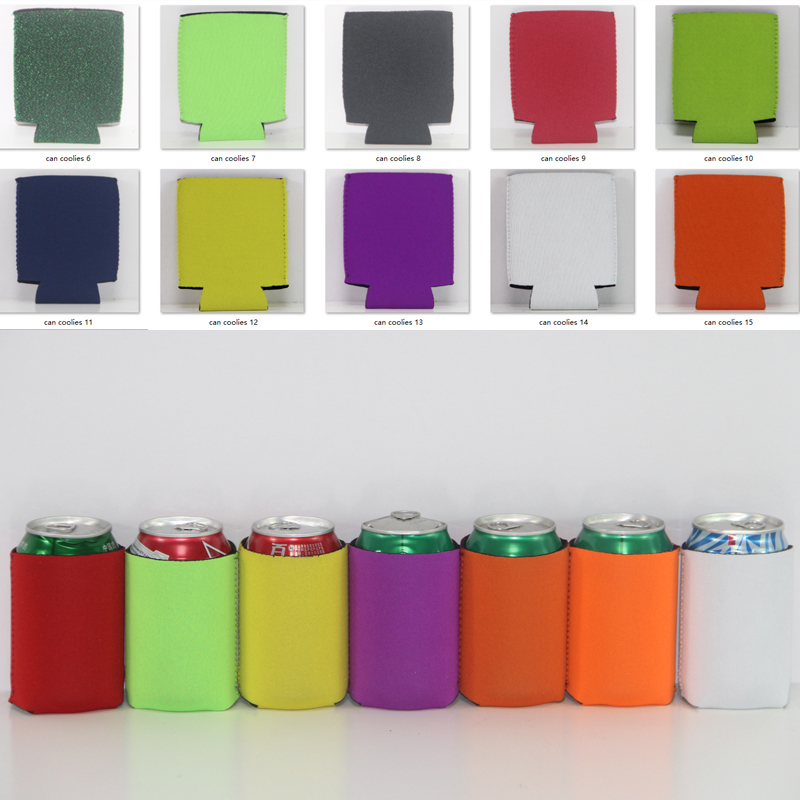 These blank can cooler sleeves is foldable ,500PCS one carton ,low shipping charge . We are neoprene factory , for collapsible can sleeves ,low MOQ ,and fast lead time . 7-15 days .